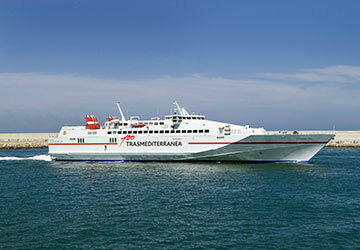 For more information, please visit our Ferries from Spain to Ibiza page. 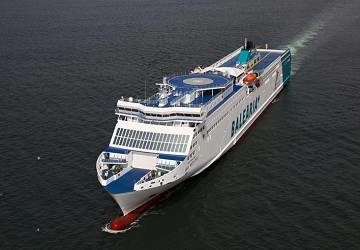 The Valencia Ibiza ferry route connects Spain with Ibiza and is currently operated by 2 ferry companies. 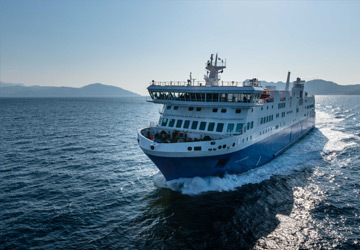 The Balearia service runs up to 6 times per week with a sailing duration of around 5 hours 10 minutes while the Trasmediterranea service runs up to 6 times per week with a duration from 6 hr 15 min. 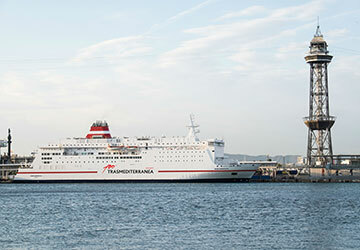 So that’s a combined 12 sailings on offer per week on the Valencia Ibiza route between Spain and Ibiza. Compare now and get the best fare at the time that you want to travel. Prices shown represent the average one way price paid by our customers. The most common booking on the Valencia Ibiza route is a car and 2 passengers. 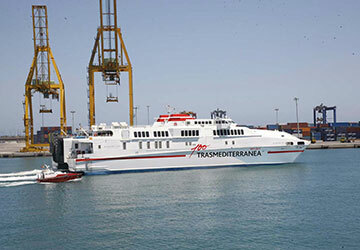 "Valencia to Ibiza and back"
"Ferry Ibiza to Valencia return "
Expensive but meant we could take our camper to Ibiza. "IMPOSSIBLE SLEEP IN THE SEATS"
"It was what it was"
On an overnight ferry in the lobby bar, we were lucky enough to get a sofa (of which there are about 6) We were the first ones to board. Others were left with an arm chair (like a kitchen chair with arms) which would have been very uncomfortable for 6 hours. There was space on the upper deck to sleep also (weather permitting). It they had more sofas or seats which could double as a sofa for sleeping it would make the trip far more pleasant for many people. Food etc was basic and overpriced. But as expected. "Ferry trip from Valencia to Ibiza"
The trip on the ferry from Valencia to Ibiza was very nice. 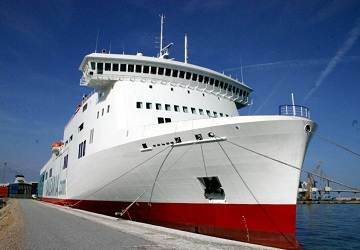 The trip was smooth and the Ship staff were very nice. I would recommend it to anyone traveling to Ibiza. 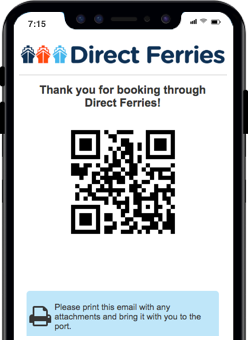 The directferries website was easy to use and I received a fast response. The Spanish city of Valencia lies on the Mediterranean Sea coast in the Valencia region of the country. It is Spain's third largest city, after Madrid and Barcelona, and lies on the banks of the Turia River, on the east coast of the Iberian Peninsular, on the Gulf of Valencia. One of Spain's largest lakes, the Albufera, is located around 11 km to the south of the city and forms part of the Parc natural de l'Albufera (the Albufera Nature Reserve). The city has an international reputation and is known for the Las Fallas festival held in March each year, for its traditional Valencian ceramics and for the architecture of the City of Arts and Sciences designed by Santiago Calatrava and Felix Candela. Also popular with tourists are its ancient winding streets, containing many Roman and Arabic buildings, and it cathedral which was built between the 13th and 15th centuries. Adjacent to the cathedral is the Gothic Basilica of the Virgin and the Silk Exchange which was built in an early Valencian Gothic style and is a UNESCO World Heritage Site. 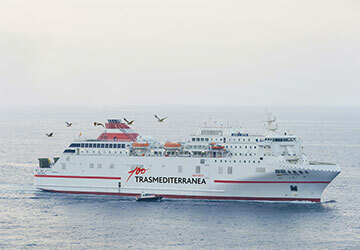 The Port of Valencia has regular passenger services to and from the Balearic Islands and Italy, along with a growing number of visiting cruise ships. The Spanish island of Ibiza lies in the Mediterranean Sea and is located to the east of the Iberian Peninsular and is one of the Balearic Islands. The island's land area is just over 570 sq. km and along with the neighbouring island of Formentera was called the island of the pines by the Greeks. Ibiza Town, the largest town on the island, was first settled by the Phoenicians and still has walls surrounding it that were built in the 16th century to prevent attack by Turkish pirates. Today, the town is characterized by narrow cobbled streets, medieval mansions and a cathedral which is located close to the castle. the island is popular with scuba divers who are attracted to the island's warm, clear waters. The sea bed in the Las Salinas National Park is a UNESCO World Heritage Site, because of the ecological importance of the sea grass that grows there.